From the previous edition to this one of the most coveted cricket tournament, time has flown by quite smoothly for a few and quite painfully for a few. 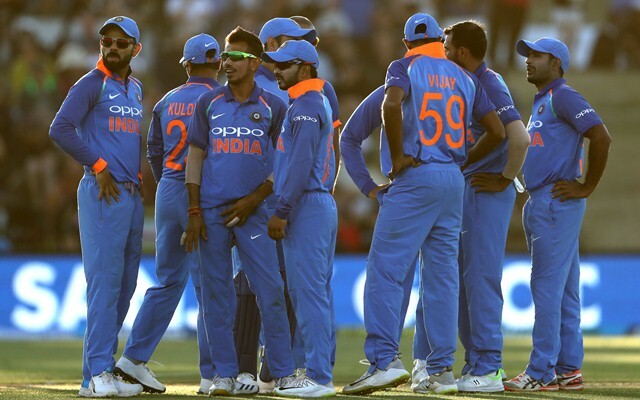 Indian selection committee chief MSK Prasad announced the World Cup 2019 squad on Monday, which saw some eyebrows being raised. Although the team looks pretty solid to contest for a third title, some of the decisions taken with regards to backup options has had mixed reactions. Hands down the biggest talking point would be the ousting of Rishabh Pant, who many believed could’ve been a huge part of the side. The selection committee went for Dinesh Karthik ahead of him, owing to the experience the Tamil Nadu cricketer brings in case MS Dhoni is injured and out of contention in the crucial part of the tournament. From the previous edition in 2015 to this one of the most coveted cricket tournament, time has flown by quite smoothly for a few and quite painfully for a few. Despite being an integral part of the previous setup, some prominent names in Indian cricket failed to enter the World Cup squad this time. Here are five active Indian cricketers who were present in the 2015 squad but missed out this time. Suresh Raina played some of his greatest cameos for the Indian cricket team back in the 2011 World Cup. He was expected to play a “Yuvraj Singh kind of a role” in the 2015 edition of the championship, but as it turned out, his performance was underwhelming. That was the beginning of the end for the IPL legend. His place in the team after that World Cup was never secured and he struggled to get amongst the runs frequently. He did get a call back in the team for a middle-order role but once again failed to cement his spot. Millions of fans who adored him so much only got to witness him during the IPL as his International appearances started to diminish. He last featured in an ODI game in July 2018 against England and is currently playing for Chennai Super Kings in the 12th edition of the IPL.